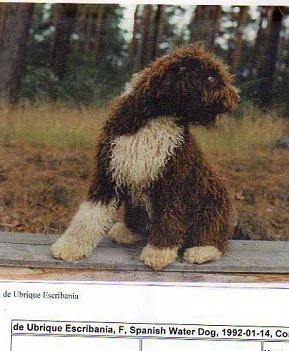 The only Spanish Water Dog ever used was the one below. She was the mother of the B litter of Poppenpaler's. Vincacao was the father. It is easy to see how several Barbets are SWD "typed". However mated back to Barbet blood, and with good selection, it is seen as a positive point.